The most romantic time of your life , make it very special ! Skiathos has been the last few years a very popular destination for weddings. 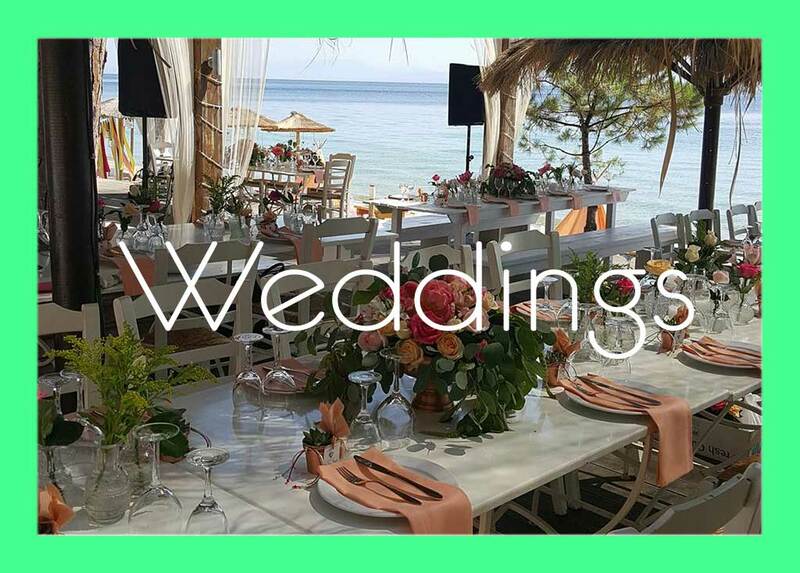 You will get married in Bourtzi , a small peninsula that offers stunning views and you will add a magical atmosphere to your Skiathos wedding. “Dream on the waves” Alexandros Papadiamantis once said, and at Vromolimnos Beach, you can do exactly that. The unique sandy beach of Vromolimnos ,meaning in Greek “the dirty lake” is located 6 kilometres south-western to the town of Skiathos and very close to the tourist resort of Kolios. The beach took the name from the small shallow lake that used to be there in the past. Vromolimnos is considered to be one of the most popular beaches in Skiathos ,due to the unique location ,and the facilities provided like umbrellas and sundecks, watersports ,restaurant and each bars. …making an event unforgettable !!! 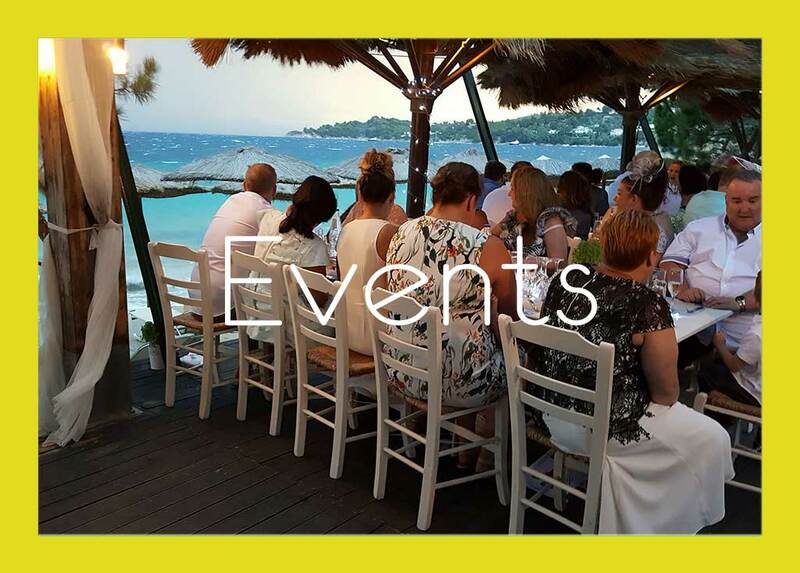 Let us organize your next event on Porto Paradiso with blue skies aplenty and plentiful natural sunlight your beautiful photos will make for lasting memories of your wedding, birthday, honeymoon or celebration of any kind ! Your wedding reception, special event or Birthday party! It is only then that you will tell and feel the difference! 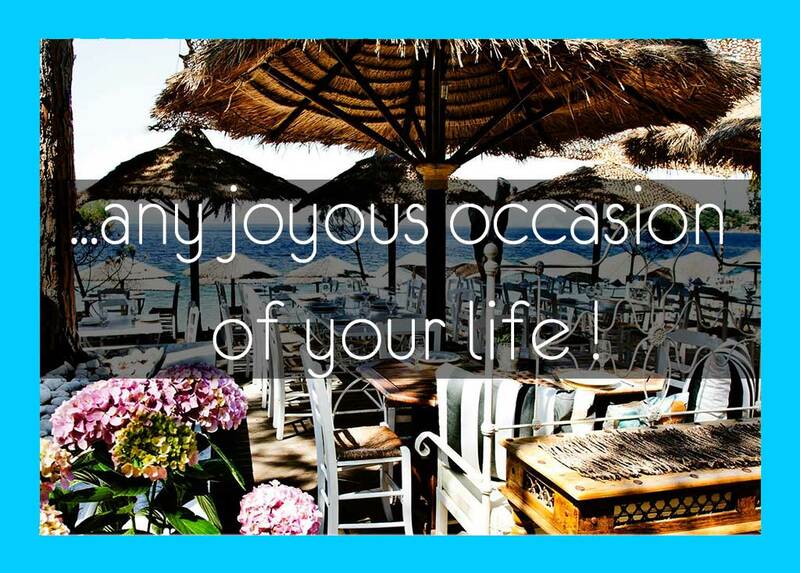 Vromolimnos beach and Porto Paradiso is synonymous to great music , great food located in a great beach . If you’re a fan of the triptych sun, sand & music, and want a tranquil environment with turquoise waters, then the Porto Paradiso Beach bar in Vromolimnos will be the right choice for you . The Beach bar plays musical selections that excite even the most “difficult” habitué . At the same time tiny shots and colorful cocktails flowing abundantly!! Experienced dj’s decorating your dives with music, You follow the Jeun Michel the personal trainer from Paris to Agua Gum (water gymnastics) exercises!! Organized cafe snack bar with the best coffee on Skiathos island , and the unique mohitos serving from 9 am to 9 pm, in a frantic partying every day. Spontaneously tournaments of racket and Beach Volley every day. Stamatia Chouli Owner and Organizer of your events .